Week 9: 5 goal wins for Newton Heath in consecutive weeks! Bella Calcio welcomed league leaders, Newton Heath to Woodlands Ring Secondary School this week in a game which kicked off at 3pm. Newton Heath were determined to stay at the top of the table and they did what was necessary to get the job done. Although the home side were able to score a solitary goal in this fixture, it was not enough to stop the league leaders from claiming all three points. Newton Heath knocked five past the Bella Calcio keeper to further extend their goal tally in the league standings. The league leaders face second placed Naughty Devils FC in what could determine the league title next week. Week 8: Former champions on fire! Week 8 of the PSB Academy Saturday Premier League saw 1 match taking place over the weekend. Newton Heath were looking to extend their winning streak as played host to fifth place, EVO XI this week at Orchid Park Secondary school. Plenty of goals in this one as league leaders, Newton Heath were taken by surprise by the sheer resilience of EVO XI. The two teams were tactically organised and composed but it did not last long as goals started pouring from both sides. Newton Heath came out victors in this feisty encounter though EVO XI had many positives to take away at the end of the game. Week 7: Basah Loh Na edge out Academy Juniores in a fiery contest! Week 7 of the PSB Academy Saturday Premier League saw just 1 match taking place over the weekend. Academy Juniores welcomed the challenge of Basah Loh Na to Commonwealth Secondary School as they faced off in the 3pm game. 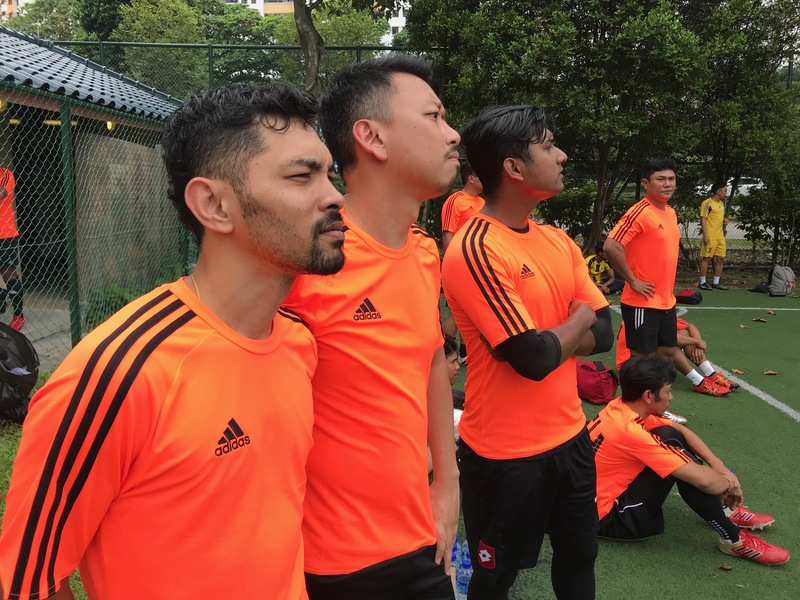 While the home side had an afternoon to forget in Week 6 as they lost to Naughty Devils, Basah Loh Na earned a point in a gripping 4-4 draw with EVO XI. Academy Juniores started the brighter of the 2 sides in the match. Tackles were aplenty as both sides challenged for possesion and that lead to tempers flaring. Both sides had a player sent off in the hot-tempered match. In the end, goals from Sol and Atam settled the game in favor of the visiting side. Basah Loh Na picked up the precious 3 points in a game where there were more cards than goals. Week 6: 3rd consecutive win for Naughty Devils F.T while Basah Loh Na and EVO XI share the spoils in Week 6! 2 matches kicked off at the same time in the PSB Academy Saturday Premier League as Week 6 rolled on over the weekend. High flying Naughty Devils F.T hosted Academy Juniores at Commonwealth Secondary School as they looked to claim a 3rd successive win in the league. They started the contest on the front foot against an Academy Juniores side struggling for form. The visiting side managed to get on the scoresheet but were overwhelmed by a dominant display by the hosts. In the end, Naughty Devils made short work of the tie as they scored 4 goals to clinch victory and pick up another impressive 3 points in the league campaign. 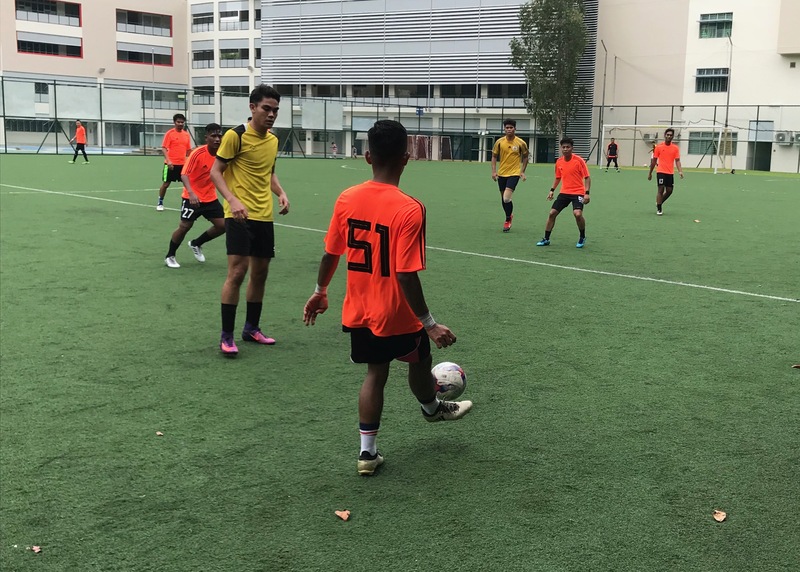 Over at Woodlands Ring Secondary School, Basah Loh Na faced EVO XI in a rematch of the Week 3 tie. Basah Loh Na picked up maximum points on that day with a convincing victory and were hoping to do the double over their opponents. It was much an even contest this time round as both sides had equal chances in front of goal. 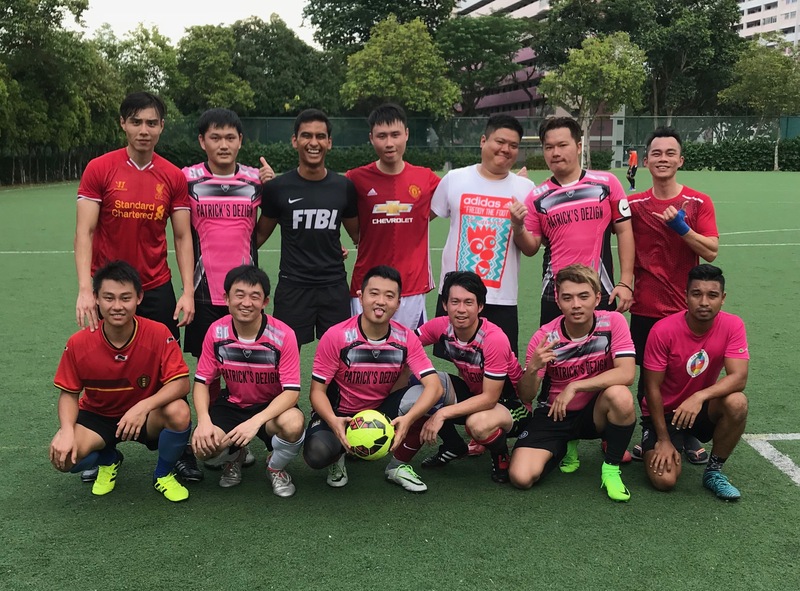 Goals from Pejal (2), Abg and Amy Cartoon allowed the home side to surge ahead in the game before EVO XI rallied back to score 4 goals of their own and end the contest as a thrilling 4-4 draw. Week 5: 2 wins in 2 games for Naughty Devils F.T! 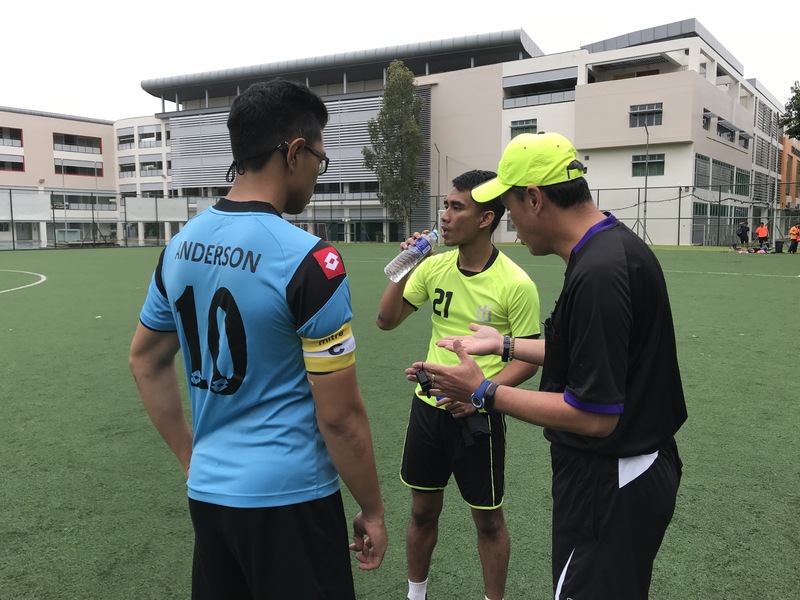 With the postponement of the match between Newton Heath and Basah Loh Na, only 2 matches kicked-off in the PSB Academy Saturday Premier League. Naughty Devils F.T headed to Bedok Green Secondary School to face Bella Calcio in the Week 5 tie. The away side were on a high after clinching a narrow 4-3 win the previous weekend while the hosts only picked up a draw in their last game. This match itself was all action as both sides went for the jugular in search of all 3 points. In the end, it was the clinical finishing of Naughty Devils that triumphed over their hapless opponents as they outscored them by 6 goals to 1 thus maintaining their 100% record in the league. In the late kick-off at Naval Base Secondary School, EVO XI hosted Academy Juniores. While Academy Juniores managed a draw in Week 4, EVO XI was not in league action the previous weekend as both teams sought to gain the 3 points to elevate their league positions. While both teams had their chances, it was to be EVO XI's day as they struck twice in the game to end up worthy 2-0 winners and leave their opponents still searching for their first win of the season. Week 4: Naughty Devils upset Newton Heath in their first ever X-League game! Week 4 of the PSB Academy Saturday Premier League Division 1 saw 2 matches taking place over the weekend. The first match was a match-up between two new teams to the Saturday League. Playing in their first ever X-League game, Academy Juniores took on Bella Calcio who have already amassed 3 matches under their belt. It was little wonder that several players from Academy Juniores were nervous going into the game and it allowed Bella Calcio to control the early proceedings. As the match progressed, Academy Juniores grew in confidence and started to gain more possession of the ball and played out some creative play. Chances were few and far between and neither team was able to penetrate the other's goalmouth. The match finally ended with a 0-0 scoreline as both sides had to settle for a point apiece. " It was a good first outing for our NFL trial players. We consider this to be a pre-season run-out, and it fulfilled our needs" said a satisfied Academy Juniores team manager after the game. Over at Fajar Secondary School, league newcomer Naughty Devils F.T faced experienced Newton Heath in the 5pm kick-off. Newton Heath were full of confidence going into the contest after recording a convincing win over Bella Calcio in Week 3. Despite facing a more seasoned opponent, Naughty Devils were not overawed by the occasion and matched their opposition stride for stride. It was not long before the first goal was scored and both teams traded strikes as both goalkeepers took turns to pick the ball out of the goal. Newton Heath had a player sent off in the second half and it turn the tide in favor of Naughty Devils. Taking advantage of their extra man, they poured forward and scored a crucial goal as they overcame their opponents by the odd goal in 7. Final score was 4-3 to Naughty Devils who begin their X-League journey with a precious victory. Week 3: 'Messi' the toast of Basah Loh Na on Matchday 3! There were 2 matches played in Division 1 of the PSB Academy Saturday Premier League as the league entered its 3rd week of competition. Former X-League champions opened their accounts against newbies Bella Calcio who have so far played twice this season. Many were expecting the league newcomers to put in a strong showing against their more experienced opponents. On the contrary, Newton Heath put in a fine performance that highlighted their pedigree having been champions previously of the X-League. Bella Calcio had no answer to Newton's overall play and went on to concede 3 goals as they suffered their first ever defeat of the season by 3 goals to nil. Over at Bedok Green Secondary School, EVO XI hosted Basah Loh Na in the 3pm kick-off. EVO XI were looking to better their performance from their game against Bella Calcio as they looked to pick up their first points of the campaign. Basah Loh Na had other ideas as they set out to get their 1st league win against their rookie opponents. Messi was the star man for Basah Loh Na as he notched an impressive hat-trick to lead his team's charge. 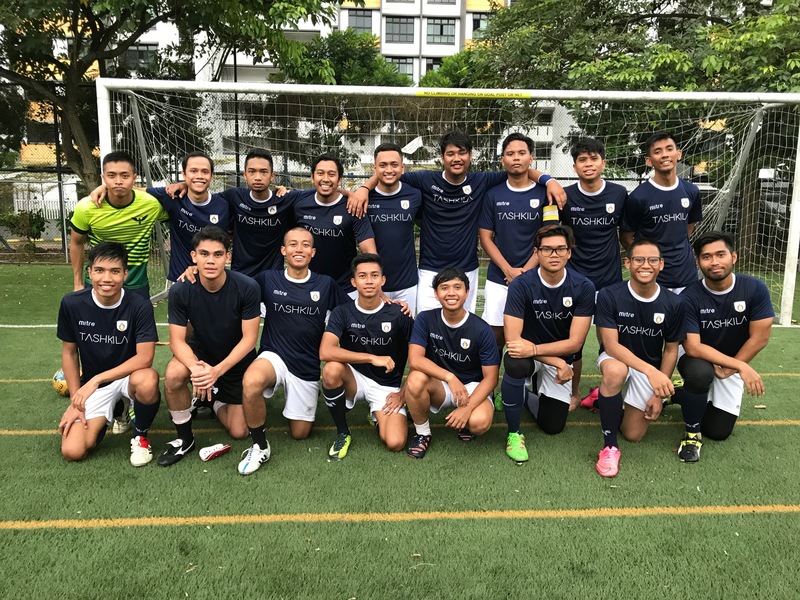 Despite netting 3 goals of their own, EVO XI were unable to stop the away side netting another 2 goals as the game ended with Basah Loh Na capturing all 3 points with a 4-3 victory. Week 2: Bella Calcio hold Basah Loh Na to a draw in fiesty encounter! 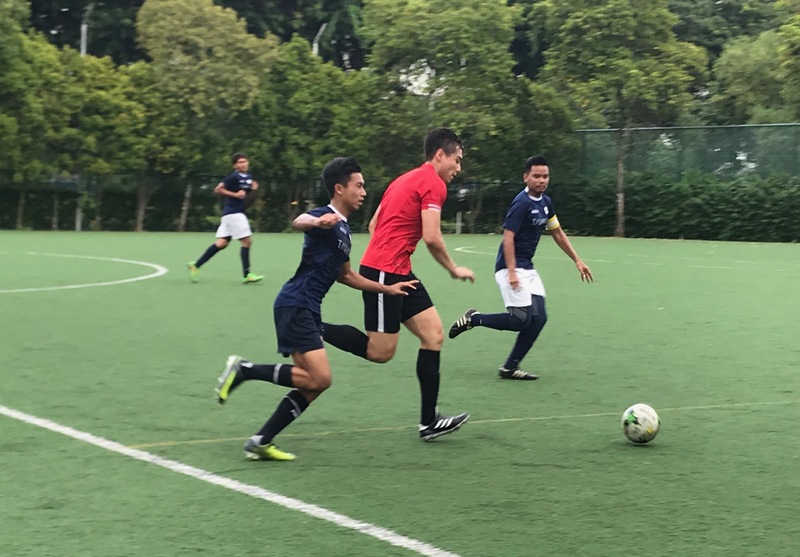 Week 2 of the PSB Academy Saturday Premier League Division 1 saw only a single game being played, as Bella Calcio took on Basah Loh Na in the 3pm kick-off. 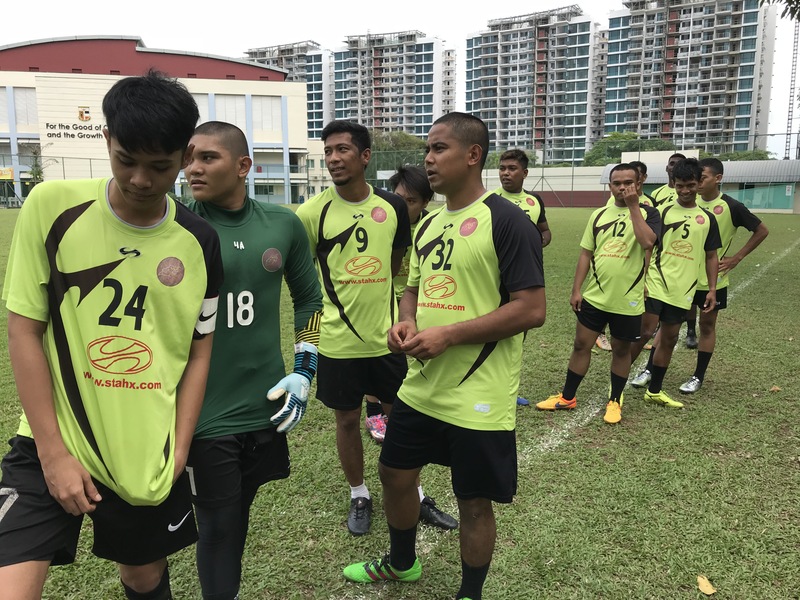 The match took place at Bedok Green Secondary School and it provided the opportunity for league newboys Bella Calcio to notch their 2nd win of the new season. Standing in their way was the experienced Basah Loh Na side. The match was a scrappy affair as both teams tussled for the majority of possession and struggled to find the breakthrough. Bella Calcio got the early goal however it was soon cancelled out by an effort from Basah Loh Na's Pejal. The away side was to end the match with 10 men as Ateh Terry suffered the indignity of being the first player sent off in the Saturday League this season. Final score : Bella Calcio 1-1 Basah Loh Na. Week 1: Bella Calcio trounce EVO XI in season opener! 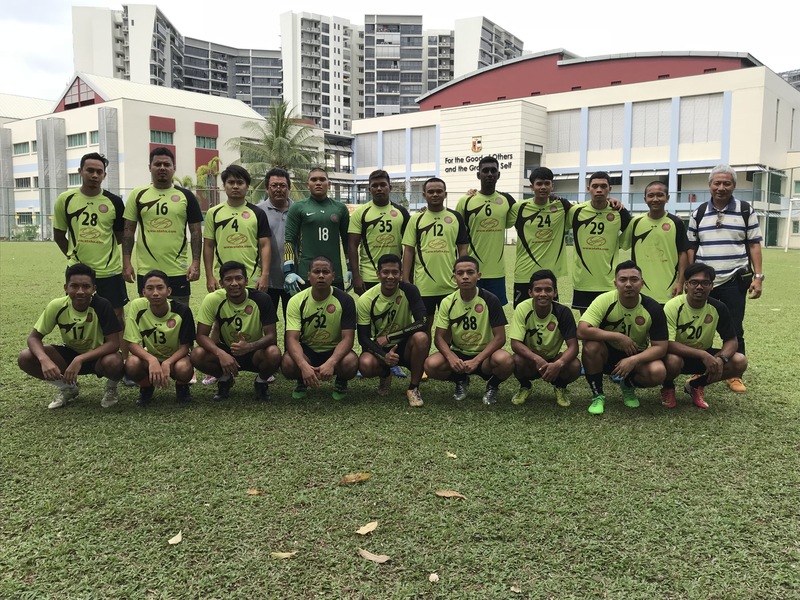 The PSB Academy Saturday Premier League Division 1 returned for Season 7 as two newcomers to the league took centre stage. 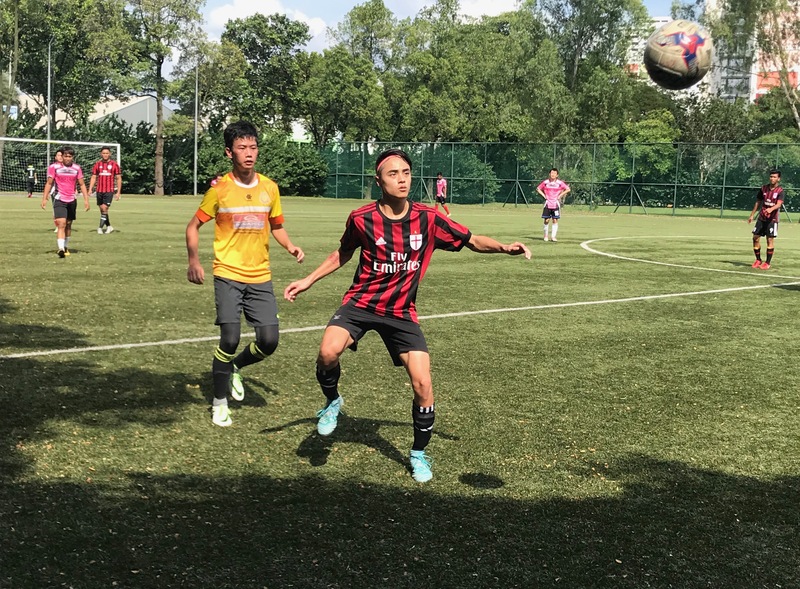 Bella Calcio faced EVO XI in a battle of the league debutants at Yio Chu Kang Secondary School. It was the first game for both sides in the new X-League season and both were determined to put on a good performance. Not surprisingly the match started out on a slow note as both teams threaded cautiously without giving much space to their opponents. As the match progressed, it was Bella Calcio that started to grow in confidence and began controlling the flow of the game. From their constant attacks on the EVO goal, they struck 4 times to eventually end the contest. It finished 4-0 as Bella Calcio celebrated their virgin X-League match with a resounding win!